How many disguises do you have? My soul was dead and I was going through the motions, disguised as a living being (refer to a blog from 2016: http://mybutterflydream.com/2016/08/07/why-im-here/). Something strange and opposite was happening at the same time though. Something (I’m pretty sure in myself) was forcing me to not continue this way. It wasn’t a specific point in time but moments over a long period. I would ebb in and out and be erratic in my decisions, not quite understanding why I had done what I had done except that it was what I thought would bring my soul back to me. Every time I had to make a decision, no matter how small I would break out in a sweat and become anxious. Every time I had to speak up, I would worry. Every time I wanted to tell someone something personal I would check myself and reject the idea. Fast forward 1 year later. I was learning about myself in an upside down fashion. 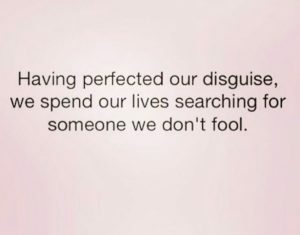 As I was learning more about my disguises and why I had them, I learnt more about who I was and what I needed. The ever-independent girl was learning the importance of support and the comfort received from sharing with those closest to her. The pain received from sharing with the wrong people was overcome by the warmth felt with the right ones. Fast forward 2 years later. I have 3 tattoos on my wrist. A constant reminder of a place I never want to return to. A mask I never want to wear again. Looking back, I remember not feeling much if anything at all; I remember only feeling anger if I did happen to feel something and I remember being so terrified that no one would understand me that I would never say anything to anyone. 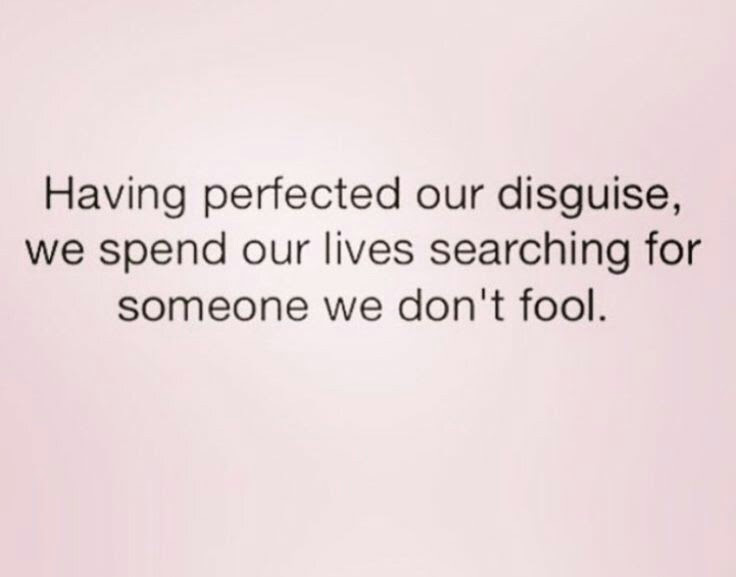 I still have a long way to go; but I’ve dropped the mask to myself at the very least as I have learnt that before we can find someone we don’t fool, we need to find ourselves first.